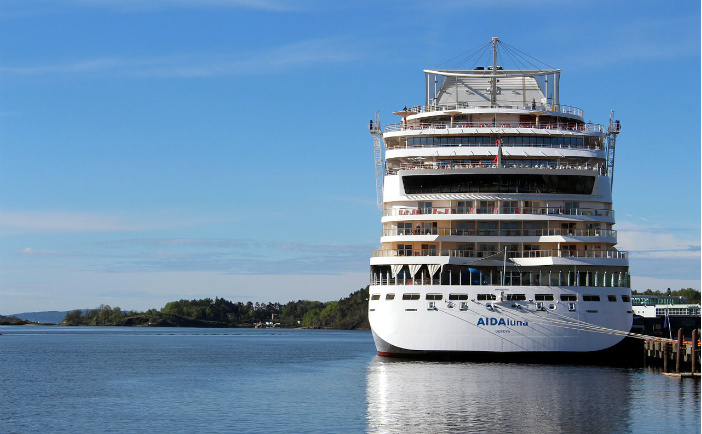 You are at:Home»Cruise Ships»How Do Cruise Ships Actually Work? How Do Cruise Ships Actually Work? While much is known about the vast amount of facilities, amenities and services afforded by contemporary ocean liners, the same cannot be said for how these skyscraper-sized mega ships actually get from point A to point B across the high seas. If you’ve ever wondered how your favourite cruise ship powers through the swell, ponder no more, as we dredge the depths and find out how cruise ships actually work. Housing all manner of mechanical bits and bobs, the engine room is where the magic happens aboard every ocean liner currently afloat. Mounted just above the keel on most contemporary seafaring ships, the weight of the engine room gives the vessel greater stability, and frees up more space for the number of passenger decks located above. Often stretching the entire length of the hull, the engine room is divided into watertight compartments, each containing a different facet of the overall mechanics of the ship. From their position on the bridge, the captain and navigational crew send commands and information to the engine room, pertaining to the speed and direction of the vessel. In the past, most commercial ocean liners were powered by a conventional diesel engine, but now most new ships use a combination of both diesel and electric propulsion. These hybrid engines use large generators to create electricity, the power of which is then used to turn the propellers and thus control the speed and heading of the ship. In terms of speed, most ships cruise at around 15 to 20 knots, which is equivalent to around 17-23mph. Given that the average cruise ship weighs over 70,000 tonnes, it’s baffling to comprehend how such a heavy object can float on the surface of the water without rapidly sinking to the seafloor. The reason cruise ships are able to float comes down to buoyancy, the physics of which we won’t get into here. In short, it’s all about displacing the water that’s equal to the weight of the ship, something cruise ship designers and engineers have perfected using lightweight yet sturdy materials. Captain: As the highest ranking crew member aboard, the captain is in charge of navigation, crew management and decision-making, as well the general safety of every passenger and crew member aboard. Chief Officer: Another high-ranking officer, the chief officer is in charge of training and organising crew members aboard the ship — ensuring they’re performing their duties as instructed. Chief Medical Officer: The chief medical officer oversees all medical emergencies and incidences aboard the ship. Staff Captain: In short, the staff captain is the captain’s right-hand man. Chief Engineer: The chief engineer oversees the mechanical inner workings of the ship, as well as the performance and maintenance of its engines. Chief Radio Officer: The chief radio officer handles all communication systems, and oversees the radar and weather programme. Now that you know all there is to know about how cruise ships navigate the seas, why not book your place aboard one? At Cruise1st Australia, we feature hundreds of deals from all the major cruise lines, including P&O Australia and Carnival Cruise Line. To find out more, visit our homepage or call us on 1300 857 345.